So there I sat, taking in the view, while hikers (some jogging; some younger than 10!) passed me in both directions. One guy tried to persuade me to keep on going, saying that I was just 8 minutes from the summit. I assured him that this was where the path ended for me! And really -- I was totally happy not to go any further. Both demand a great deal of focus. Both are physically challenging. Both are extremely satisfying and a huge adrenaline rush. And for both, the mind trumps fear. If I'd really wanted to reach the top of the mountain, I'm sure I would have. Yes, it would have been tough and scary. But if I'd managed to flip the mental switch and set my mind on finishing the hike, I would have focused on the task and made it calmly to the top. Similarly, I think that the mind is capable of conquering fear during childbirth. Sure, unforeseen challenges may prevent you from having your ideal birth (or climb). But flipping the mental switch or deciding that you truly want your labor and delivery to go a certain way is the most important step towards having your dream birthing experience. What would it take to flip your mental switch and consider a natural childbirth? For me, a deep desire to know what childbirth felt like coupled with a fear of needles was enough to flip the mental switch and set my mind on a drug-free delivery. And the experience was so exhilarating and empowering and fun that I encourage all women to consider this option. As for Camelback, I'm still trying to figure out what would flip my mental switch and inspire me to reach the summit! 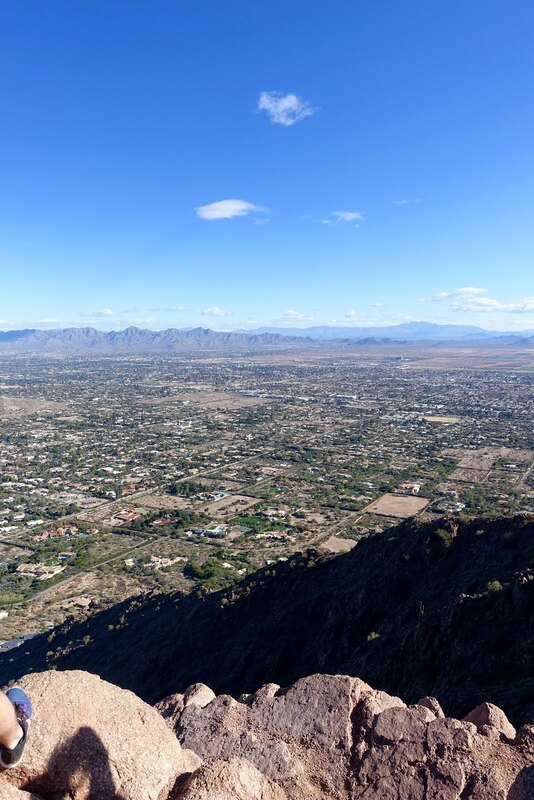 I loved reading this Blog as I have a wonderful view of Camelback and often see climbers tackling this challenge. An interesting comparison, mountain climbing and natural childbirth - but so very true! Sounds great - let me know!